Yes, just let us know if you need one and we will email it to you. Do I have to set it up to scan my computer every week etc.? No, you don’t need to worry about any of this. We have pre-configured the software prior to installation to complete a full deep scan of your whole computer every week. I want to buy your Avast because I think my computer has been infected with viruses. Will it clean these off when it has been installed? It depends how bad the existing infections are. If you can connect to the internet with no problems then it should deal with them when installed. However if your computer is badly infected or corrupted with viruses they may have to be removed with a different tool in ‘safe mode’ first. We can usually do this for you remotely but in some cases this will not be possible. If you are near us you can bring your computer into our workshop. Does the Avast Content Filtering service provide category blocking? Yes, Avast Content Filtering provides over 12 categories with over 60 sub-categories that you can choose from. You have the ability to block these categories, warn users and allow users through. Where does Avast CloudCare store personal data? Data protection is a top priority for Avast CloudCare™. Personal data, including Name, Address, Phone Number, and Email Address, are securely encrypted (2048 bit) and stored behind SPI Firewalls within Avast Data Servers located in two major data centres. Which operating systems are compatible with Avast CloudCare? How do I self-install Avast CloudCare? Avast CloudCare installation is incredibly simple and takes just a few minutes. It requires very little intervention from you. Click the download link in the email that was sent to you after you signed up for Avast CloudCare. When prompted by your web browser, choose “Run” or “Open” if one of those options is available. If “Run” or “Open” isn’t available, choose “Save,” and then locate the downloaded file and double-click it to launch the installer. 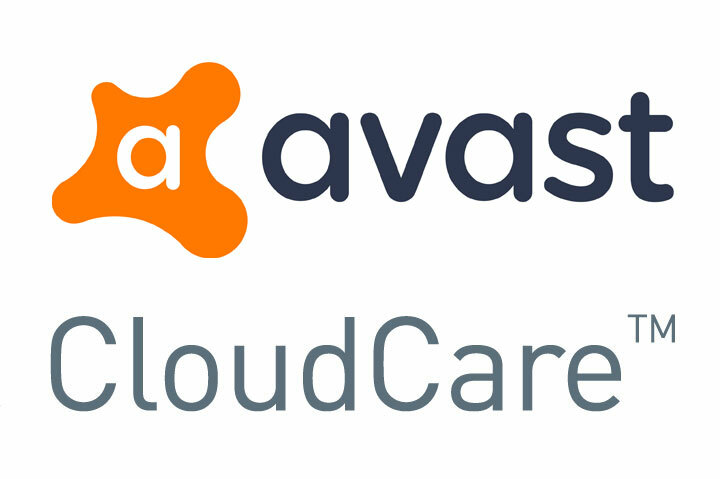 The Avast CloudCare software will now install on your PC. This may take some time so be patient. Restart the PC when asked to do so. Why haven’t I got an icon on my desktop? Avast CloudCare doesn’t install a desktop icon by default but it can be manually added by right clicking in the Programs menus and ‘send shortcut to desktop’. It also puts an icon on the task-bar in the bottom right corner of your screen. If you can’t see the icon, it may be hidden. Click the ‘Show hidden icons’ icon to reveal the icons that are out of sight. How do I update Avast CloudCare? Avast CloudCare will update itself automatically when new updates become available. This happens at least once a day, and quite often more than once a day. If you want to check for updates manually, double click the Avast CloudCare icon on the task-bar at the bottom right of your screen. The Avast user interface will pop up on your screen. If the green and white tick is present saying ‘You’re prortected’ you don’t need to do anything else. If it shows ‘Update now’ or you want to manually check for updates, click on ‘Settings’ in the bottom left corner of the window and then ‘Update’ from here you can download and install any available Virus Definition or Program updates. How do I scan my computer with Avast CloudCare? Avast CloudCare will run a full scan of your PC once a week without you needing to do anything. Unless you have changed the time/day of this scan, the scan will run every Wednesday at 1 pm. The scan will run automatically when the PC next starts up if the scheduled scan was missed because the PC was turned off. You can also start a scan from the front panel anytime you wish. Can my Avast CloudCare licence be transferred to another computer? Contact us and ask us to deactivate the Avast on the old PC. This will automatically uninstall the Avast CloudCare system from that PC. On the new PC, click the link in the email that we send you to start the installation process. Once the installation process has completed, you will be asked to restart your PC. How do I remove the Avast CloudCare software from my PC? Call us on 01460 298036 and we will deactivate the software for you. The Avast CloudCare will then remove itself from your PC completely automatically. How do I cancel my Avast CloudCare subscription? Call us on 01460 298036. Please note, that whilst your subscription can be cancelled immediately, we are unable to offer refunds for any unused time remaining on your subscription. We can however transfer this to another PC for you if you prefer. Why can’t I log-in to the Avast CloudCare portal via the icons on my ‘Start’ menu? This area of the Avast CloudCare system is for customers who have a self-managed system. This requires an element of additional training and is normally only given to customers who have a considerable quantity of PCs on the CloudCare system. Most of our customers have a partner managed system. This means that we look after the administration of the account on your behalf. What are the Minimum & Recommended Hardware Requirements? Why is the Avast CloudCare Firewall facility disabled? When we deploy Avast CloudCare to customers the Firewall feature is disabled by default. All versions of Windows provide a perfectly effective Firewall and your broadband router also has an active firewall. Antivirus Firewalls tend to be over controlling and cause confusion.